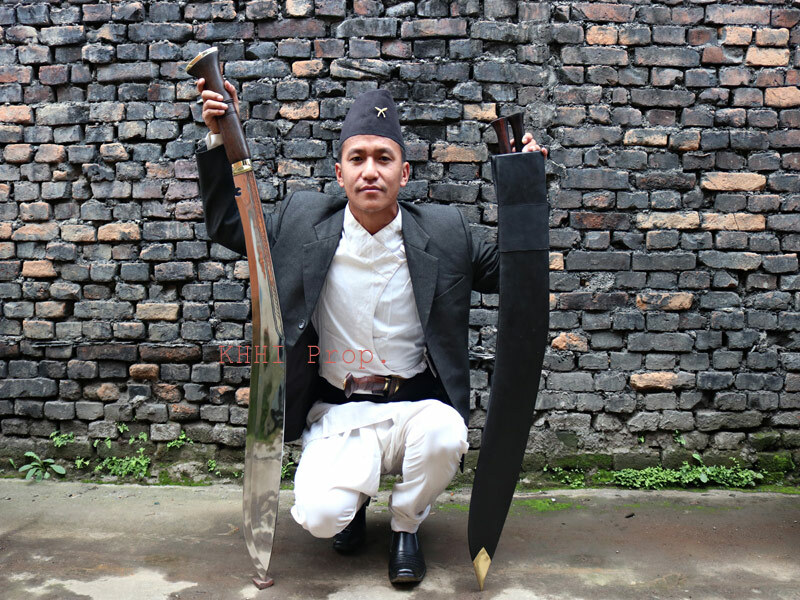 Originally found at Eastern Nepal, ‘BUFF HEAD’ kukri is the largest Kukri reproduced by Kukri House Handicraft Industry (KHHI). It is a tradition in Nepal that some of the religious functions are celebrated by sacrificing domestic animals (mainly goats, buffaloes and chickens) at home or mostly at temples as an offering to the goddess “Durgamata”. The Buff Head, however, comes into practice during the main festival Dashain where on the 8th day of this festival buffalo is sacrificed or beheaded. It is important to mention that the beheading has to be done in one single blow otherwise the failure to do so would bring ill-fortune to the whole community witnessing the ceremony. Gadhimai; a festival in mid south of Nepal in which animals, mainly buffaloes, are sacrificed as part of the ritual to celebrate the festival. Gadhimai festival is a sacrificial ceremony that is held every 5 years at the Gadhimai Temple of Bariyarpur, in Bara District, about 100 miles (160 km) south of the capital Kathmandu. The event involves the large-scale sacrificial slaughter of animals like water buffaloes, pigs, goats, chickens, and pigeons – with the goal of pleasing Gadhimai, the goddess of power. Participants believe that animal sacrifices to the Hindu goddess Gadhimai will end evil and bring prosperity. Our "Buff Head" also play its part in the festival henced tributed with the name 'Gadhimai'. 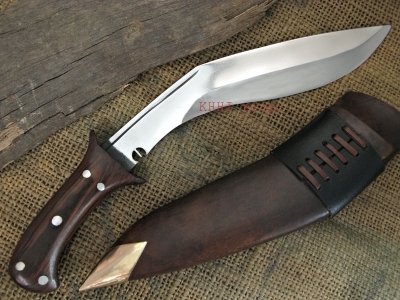 Blade: This specific kukri is extraordinarily long measuring about 4 feet; a staggering 36 inches and immensely heavy, weighing about 5 kilos(11lbs). 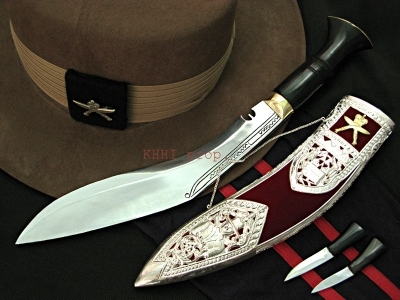 The enormous size of the blade is the strength and attraction of the kukri. 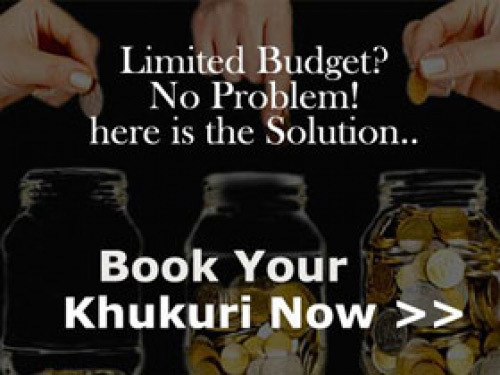 An eye catcher whose strength lies in its size where one can see the hard work put in by craftsmen. It takes 5 full days of hard work for 3 master craftsman to make ‘Buff Head’ ready to use. 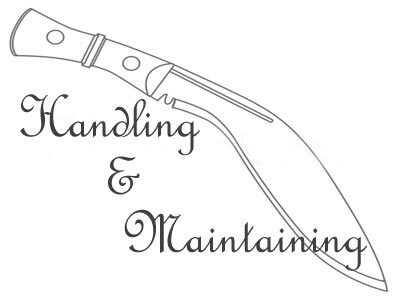 Handle: It has a wooden handle measuring 10” in length and has enough space to be held by both hands. 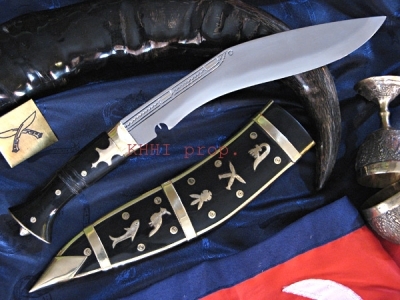 This kukri has its own weaknesses and it appears when brought to use. 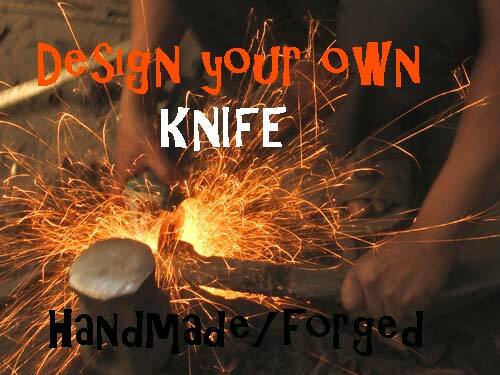 Due to its huge size, the knife is very difficult to wield and is almost impossible for a normal person to use it. Hence, ‘Buff Head’ is more of a display item and less of a tool. 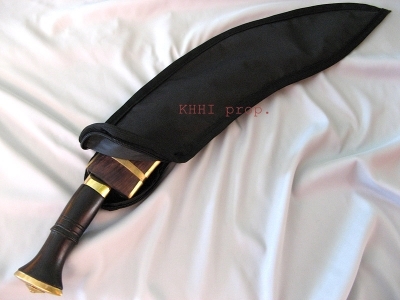 Sheath: The largest kukri until now has very simple black leather sheath with brass tip at the top. It houses small pouches for two accompanying knives to fit in. 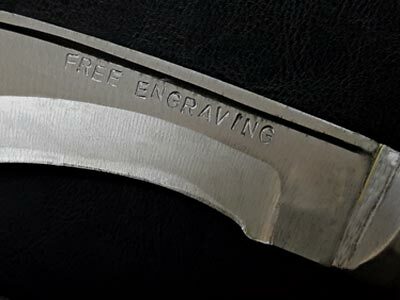 These small knives are itself 6-8 inches (blade) long. 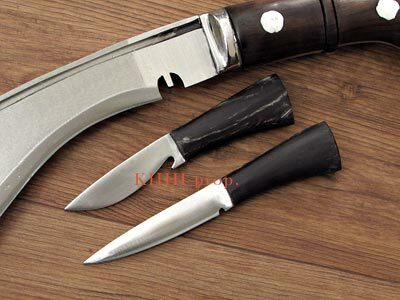 One of which is used to keep the blade sharp and another is used as a backup knife. 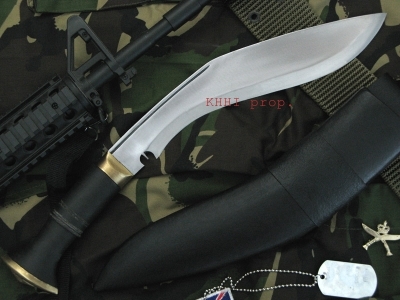 Size of blade: 36 inch approx. Size of the handle: 12-15 inch approx.